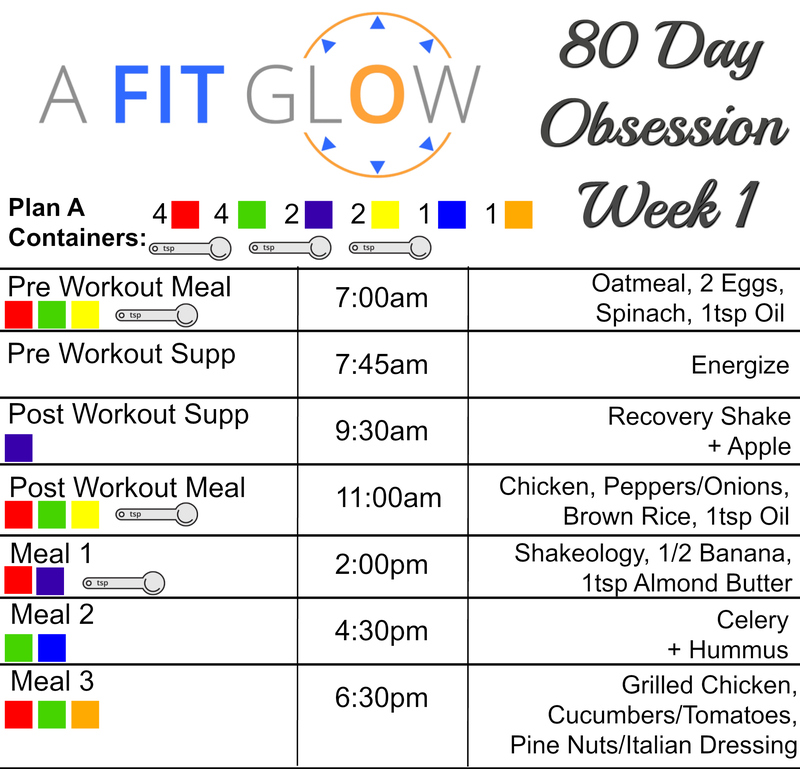 80 Day Obsession is finally here!! That means it is time to get prepped and ready to go!! 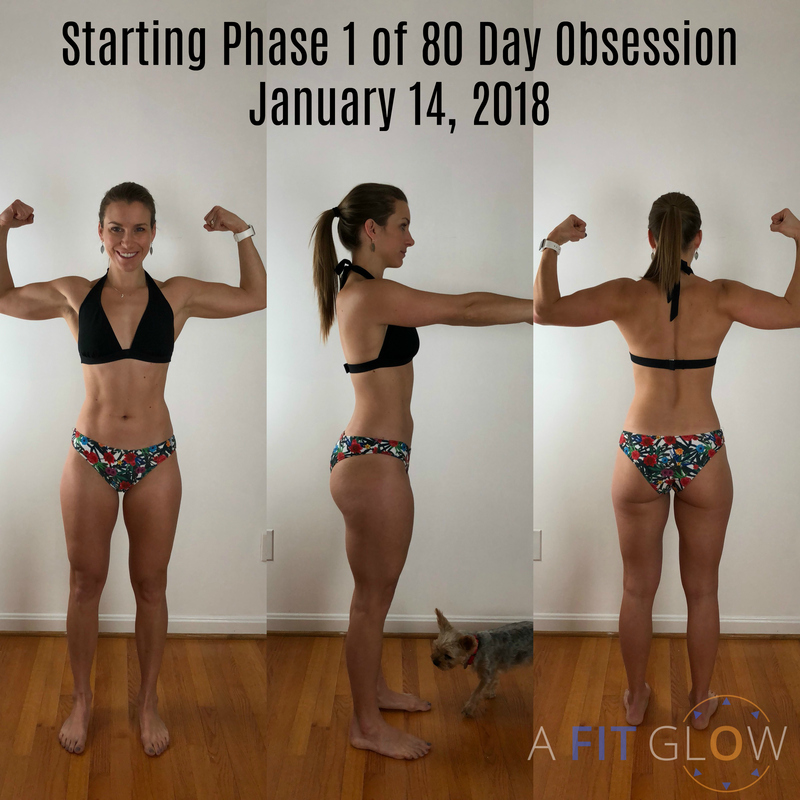 The first thing that you will want to do is look through the start here guide, eating plan, and workout calendar which can all be found on Beachbody On Demand under 80 Day Obsession in the program materials section. I decided to print everything out because I like to feel the paper in my hands! If you would like to watch the video that goes along with this prep, click on the video below. The start here guide will instruct you to take your before pictures and measurements. You want to make sure that you have background that isn’t distracting, find a well lit area and somewhere that you can get the same camera angle for taking progress photos.You want to wear an outfit where you will really be able to see the changes your body is making. Meal planning is CRUCIAL to your success with this program! D0 your calorie calculation in the start here guide to know which eating plan you will use. After doing mine, I know that I am in Plan A. This eating plan tells you exactly which containers to eat and what time in coordination with your workout time. That means that you will need to plan out your week and write down what time you will work out each day! I like morning workouts so that is the plan I am following. Remember how I said meal planning is crucial to your success? Well… meal planning is even MORE important!! Having your food ready to go ahead of time makes your life 100000x easier. TRUST ME! Please do not get frustrated if you spend the whole day in the kitchen prepping your first time. It gets easier the more you do it because you will find your rhythm. I love incorporating a crockpot meal whenever possible simply for the ease of it! I like to figure out what foods need my attention and what foods just cook on their own. That way I can maximize my time! Portion out oatmeal in yellow container after it has set for 8 hours. (I added a little bit of vegan vanilla shakeology to my oatmeals right before eating it. It improves the taste SO MUCH! That is my entire prep for the week!! I hope this was helpful for you and that your prep goes smoothly. Just remember to not get frustrated if it takes longer then you anticipate. Play some fun music in the kitchen and just think about how easy every single meal will be during the week!! Good luck and let’s get obsessed with our health and fitness! !